William Norman Ewer was born in 1885. He became a journalist and in 1912 he joined the Daily Herald. Ewer was eventually appointed as the chief foreign correspondent. Other writers and cartoonists who contributed during this period included Henry Brailsford, George Lansbury, William Mellor, Evelyn Sharp, Norman Angell, George Douglas Cole, Will Dyson, John Scurr, Gerald Gould, Morgan Phillips Price, Hannen Swaffer, Vernon Bartlett, Havelock Ellis, Evelyn Sharp, Henry Nevinson, G. K. Chesterton and Hillaire Belloc. Ewer was sent to cover the Russian Revolution. His reports included an interview with Leon Trotsky. The Daily Herald held a meeting on 31st March, 1918, where it welcomed the revolution. According to Stanley Harrison, the author of Poor Men's Guardians (1974): "It was the first of a series of huge meetings in the Albert Hall to welcome the Revolution and demand in general terms that all governments follow the Russian example in restoring freedom. 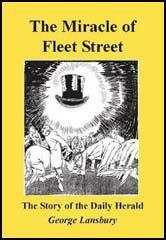 twelve thousand people filled every seat and five thousand were turned away." Ewer later wrote that by the end of the First World War the Daily Herald was "almost a national institution, a political force... its circulation was now nearer a quarter of a million." During this period Ewer joined the Communist Party of Great Britain. Christopher Andrew argues in The Defence of the Realm: The Authorized History of MI5 (2009) that Nikolai Klishko had started a spy-ring headed by Ewer in London. 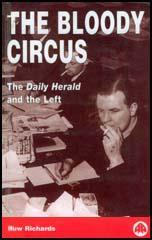 According to Huw Richards, the author of The Bloody Circus: The Daily Herald and the Left (1997), Ramsay MacDonald wrote to the editor, Hamilton Fyfe, showing concern about Ewer's "communist sympathies". On 17th September 1925, Clifford Allen, who was on the board of directors, sent a memo arguing: "He (Ewer) should be removed at once." Fyfe refused to sack Ewer claiming that "he was the best journalist on the paper, among the best in London and kept his views out of the paper." Hamilton Fyfe was unpopular with some members of the trade union movement. Ernest Bevin wrote: "The editor has not the real co-operation and confidence of the staff and this is not due to any lack on the part of staff to co-operate, but purely a temperamental weakness of the Editor, it is made worse by the fact that his judgment is unstable and erratic, that he has not the knowledge of the different phases of the movement that several members of the staff possess and is too susceptible to personal influence." Fyfe was unwilling to accept attempts by the TUC to control the content of the newspaper and he left on 31st August 1926 with a £750 payoff. Frederic Salusbury was appointed editor-in-chief and William Mellor became the new editor. Christopher Andrew argues that Ewer was working with John Henry Hayes, the MP for Liverpool Edge Hill (1923-1931). They managed to recruit three members of Special Branch, Inspector Hubertus van Ginhoven, Sergeant Charles Jane and Albert Allen. All three men were arrested and Allen admitted that: "Any move that Scotland Yard was about to make against the Communist Party or any of its personnel was nearly always known well in advance to Ewer who actually warned the persons concerned of proposed activities of the Police." The three men were dismissed from Special Branch but it was decided not to prosecute them. Guy Liddell, a senior MI5 officer, wrote in his diary that the trial would bring back memories of the Zinoviev Letter. As the arrests took place before the 1929 General Election Liddell argued "the general belief is that it was thought to be bad politics that have a show-down... it was felt generally that another Zinoviev letter incident should be avoided." In 1930 the TUC sold a 51 per cent share of the newspaper to Odhams Press. William Mellor was elevated to the Odhams board and given a management position and Will Stevenson, a Welsh ex-miner, became the new editor. Ewer claimed that Stevenson was "a very nice mannered person, methodical, but not an innovator." Attempts were made to make it a more mainstream publication. This was a great success and by 1933 the Daily Herald became the world's best-selling daily newspaper, with certified net sales of 2 million. Ewer became disillusioned with the Soviet Union and became an anti-communist member of the Labour Party after the Second World War. The author of The Bloody Circus: The Daily Herald and the Left (1997) wrote: "W. N. Ewer's half-century of service, follow its political development with striking precision. Once a fervent communist, he moved through disillusionment to rigidly orthodox labourism." A fellow journalist, Geoffrey Goodman remembers: "He was in no way a figure of fun. His views were pretty rigid by then, but you had to remember that this was a chap that had interviewed Trotsky on the steps of the Smolny Institute. You had to regard that with respect." William Norman Ewer, who retired from the Daily Herald in 1964, died in 1976. Shadowing other members of Ewer's network led Ottaway's Observation team to Walter Dale, who had first been observed (though his identity was then unknown) keeping under surveillance the rendezvous originally chosen for the first meeting between "D" and Ewer. Dale in turn unwittingly led investigators to his main contacts in the Special Branch, the Dutch-born Inspector Hubertus van Ginhoven and Sergeant Charles Jane. After Dale's arrest, the discovery of his diary revealed further details of the operation of Ewer's network. It confirmed that Allen had operated for some time as the "cut-out" between Ewer and the Special Branch officers.The diary also gave details of Dale's other duties, among them the observation of British intelligence officers; surveillance of expatriate Russians; provision of lists of prominent individuals of possible interest to the Russians; and counter-surveillance for Russian agents, including Ewer and EPA employees. For the five years covered by the diary Dale and others maintained "unremitting surveillance" on the locations and some employees of British intelligence agencies, including SIS and GC&CS, which included noting officers' licence-plate numbers and trailing them to their homes. It became abundantly clear that for the past ten years, any information regarding subversive organisation and individuals supplied to Scotland Yard by SIS or MIS, which had become the subject of Special Branch enquiry, would have to be regarded as having been betrayed to Ewer's group. The general belief is that it was thought to be bad politics to have a show-down which might lead to the cry: "Another Zinoviev letter!"... because 1929 was election year... it was felt generally that another Zinoviev letter incident should be avoided. William Norman Ewer (1885-1976) was a prominent British journalist and an important agent for the Soviet Union. He was a well-known writer for various left-wing publications, notably theDaily Herald newspaper. He was also at the centre of a significant Soviet espionage operation in the UK. He came to the attention of MI5 in 1924 when his network posted an advertisement in the Daily Herald asking for "information and details from anyone who has ever had any association with or been brought into touch with any Secret Service department or operation." An MI5 investigation subsequently revealed links with the Soviet Embassy in London, with an embassy official financing Ewer's operation. It was found that Ewer had acquired confidential information from contacts in Scotland Yard, including details of pending actions against communists in the UK. The Ewer network was exposed in 1929 and his Scotland Yard collaborators were identified and dismissed. Ewer himself was not prosecuted and it was judged that his organisation had been successfully dismantled. In later years he publicly renounced his Communist sympathies, taking an anti-Soviet line during the Cold War.